Dial-X Automated Equipment, Inc. builds our workcell frames in-house using structural aluminum. In addition to workcell frames, we can build safety frames, mounting frames and all types of structural elements. Our ability to do this in-house allows us to work more quickly and to control the quality and precision of each element of the system. 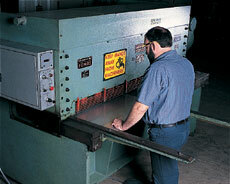 For further information or a free quote on workcell frames, contact Dial-X Automated Equipment, Inc.